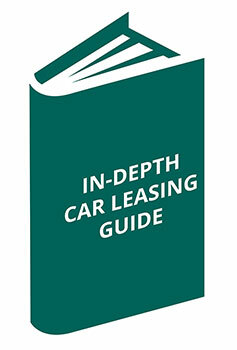 So, you’ve been looking to get a new vehicle and you’re looking for a flexible agreement? Don’t worry, at OSV we have you covered. Personal Contract Purchase (also known as PCP) is a purchase agreement for private individuals. If you are looking into Contract Purchase for your business there is an option available which you can see on our Business Contract Purchase page. Put in simple terms, a PCP agreement allows for you to make fixed monthly payments for between 2 to 4 years with a representative APR of 5.5%, however, this may vary. You can part exchange the car. Once the finance has been cleared, you can use any equity left towards the deposit of your next car. HOW IS A PERSONAL CONTRACT PURCHASE PRICE DETERMINED? A PCP agreement can actually vary in cost, depending on what you decide you want from it. At the start of the agreement a balloon payment is always set. This balloon is how much the Finance House believes the car will be worth at the end of your contract (generally 2-3 years), it tends to change depending on your agreed mileage. This amount will be your final payment should you decide to purchase the car. From that, the balloon payment is deducted from the overall cost of the car. The deposit amount you choose to make (usually around £2-3,000) will be also be deducted and the rest will be split into however many months you take the contract out for (24-48 months). That price will be your monthly payments. Anything additional to this, such as a maintenance package, will be added to the monthly cost. You can sell the car to a third party and keep anything you make once you’ve made the final balloon payment. If you need more information we can help. Download our guide to Personal Contract Purchase.